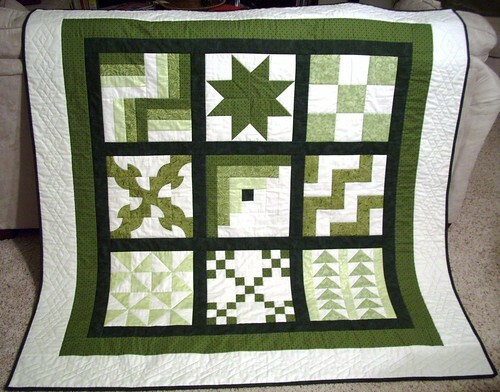 The sampler quilt is finished! It had been sitting here waiting for binding for almost a week so last night I finally made the binding strip and stitched it around the quilt. Today I finished it by hand while watching Northanger Abbey on DVD. Beautiful! You really have an eye for putting the colors and patterns together.